Fivemiletown United FC have given the children of Clogher Valley and further afield the opportunity to play football for over 25 years. Initially founded as Fivemiletown United Juniors it became an accredited Mini Soccer Centre in 2004. The club has gone on to bring home numerous silverware in the last 18 years since the formation of the Brendan Keogh Youth League in 1998. Which includes a Lowry Cup in 2005 as well as U15 & U16 leagues both won in 2007 and most recently the Under 12s winning the league and cup double this season as well as reaching numerous cup finals through the years. In December 2016 the decision was taken by the club to revamp the Mini Soccer Centre and change it to a fresh Youth Academy from February 2017. The new academy directive which will see all coaches being fully qualified and will see a fresh ethos taken within the club to provide each child with football across the board. As well as a new tactical outlook which will aim to teach the children to play football in a way which the game should be played using three simple key words; Control, pass and move, which down the years should make Fivemiletown United teams play sharp, fast possession football. Fivemiletown United Youth Academy will look to expand its catchment area and develop further the clubs cross community outlook. The academy directive was suggested and pushed forward by Rhys McQuigg & Chris McDowell while club chairman Davy McQuigg will oversee the Academy as he has done for the last 25 years. The club will also adopt a more professional outlook for all youth players by offering the opportunity to buy Club gear and wear it at the Youth Academy which will help the clubs exposure and will hope that parents will buy into what the club is trying to achieve. The club also would like to reach out to parents and guardians to get involved with the club whether this is in a coaching role or behind the scenes. The Youth Section has thrived over the last 5 years and has become a driving force in the Fermanagh & Western area reaching 5 Brendan Keogh Youth League finals in that time and winning one league title. 2 players in 2016 representing the club in the NI Super Cup Scott Johnston and Nathan Sherry who represented Fermanagh and Tyrone respectively. With several other players including Aimee Neal, Max Galloway and Daniel Farrell representing the club in Club NI programmes. The club over the past 2 years are gradually giving their players football all year round In the Mid Ulster Youth League and Brendan Keogh Youth League. 2017 will also see only the second ever appearance of a Fivemiletown team at the Foyle Cup as the U13 team will take part in the week long tournament against the likes of Hearts, Celtic and Norwich City to name a few big names. The Youth Academy will see new and improved coaching and perspective as well as more tactical and specific areas for coaches to work on with their groups. 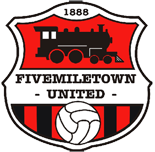 An exciting time for Fivemiletown United as the club looks to provide more football than ever before to the children of Fivemiletown & the Clogher Valley. What is an academy and how is it different to your mini soccer centre? We are new to the area, how would you help my child settle in at the academy as he is very shy? We assign any new child a buddy until they settle. Also the coaches will be aware of new kids and keep an eye out for them. Can girls attend and how can I be sure they will be looked after and protected? Tell me a bit about how your academy runs? I am interested in helping out, Do I need any qualifications, courses etc.? How are the children divided up? Is there age bands? Is there an opportunity to play competitions? My child has a few medical issues, how can you ensure he is looked after if he takes ill whilst at training or a match? What does my child need to bring to training or a match? Boots and Shin guards to matches. Playing kit will be provided. How can I keep up to date with what is happening for my child's group in the club? We have just arrived in Fivemiletown and my child does not speak much English how can you help him settle in?